The former CEO of defunct Japanese Bitcoin exchange Mt. 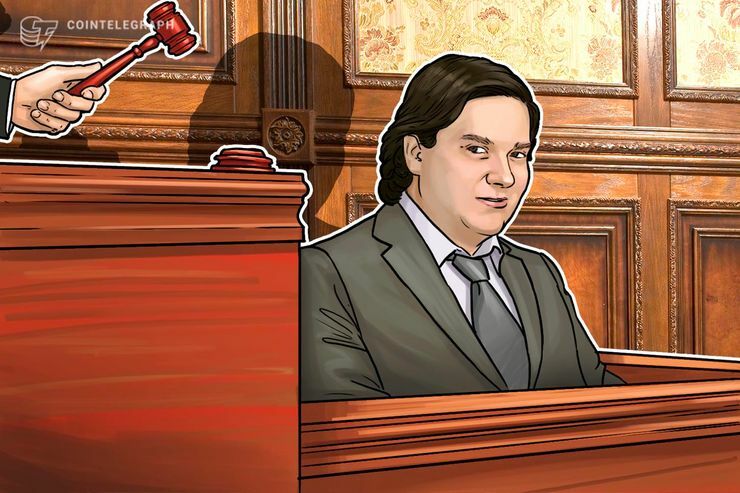 Gox, Mark Karpeles, could spend ten years in jail over alleged embezzlement, Japanese daily news outlet Nikkei reported Dec. 12. Karpeles, who presided over the major hack of Mt. Gox in 2014 that resulted in the loss of 850,000 BTC ($2.87 billion), has repeatedly denied any wrongdoing. In a Tokyo court on Wednesday, prosecutors read out an indictment against the embattled executive, who is currently confined to Japan as a condition of his bail, claiming he stole funds worth 340 million yen ($3 million). The prosecution has asked for a ten-year prison sentence for Karpeles’ alleged embezzlement. While not connected to the hack itself, Karpeles has attracted the attention of authorities as part of the investigation into how Mt. Gox lost so much money. He has often protested his innocence and publicly appealed to affected traders, speaking about his regret at the events. The exchange continues to conduct civil rehabilitation proceedings, which should see victims compensated for their losses. According to Nikkei, Karpeles today denied he “hacked and stole” money on his own, as well as manipulated Mt. Gox ledgers and used the embezzled funds to pay for property rent, furniture and business acquisitions. It remains unknown when the trail will conclude, the publication added. Japan continues to safeguard its local exchange sector after another major hack this January saw crypto exchange Coincheck lose over half a billion dollars of altcoins to malicious parties.